Dozens of Chinese flags that had been hung up in the streets of Prague ahead of a landmark visit by Chinese President Xi Jinping were defaced overnight, police said on Saturday. “Several dozen Chinese flags were splattered with a black substance overnight,” police spokesman Jan Danek told AFP, saying one or two unknown vandals were involved. The flags had been hoisted in the Czech capital in recent days, notably on the road between notably between the airport and Prague Castle, the presidential palace. “An inquiry has been opened, and police are going to examine video surveillance cameras from the streets,” he said. The Chinese leader is expected to arrive for a two-day visit on Monday following an invitation from Czech President Milos Zeman before travelling to the United States to attend a nuclear security summit which begins on March 31. The visit, the first by a Chinese head of state to the Czech Republic, will be focused on economic ties, and the two leaders will unveil a “strategic partnership”. But demonstrators who oppose Beijing’s policy in Tibet are expected to stage several protests, including one on Tuesday evening near Prague Castle, the CTK news agency said. 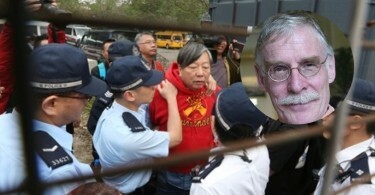 Protestors are also planning to hang up near the airport a giant photo of the Dalai Lama, the spiritual leader of the Tibetans alongside one of former president Vaclav Havel (1936-2011), a former dissident and human rights activist. China has ruled Tibet since 1951, a year after invading, and considers the Himalayan region an integral part of its territory. Beijing says it has brought economic development to Tibet and has questioned the sincerity of the Dalai Lama, who fled for India after a failed uprising in 1959. 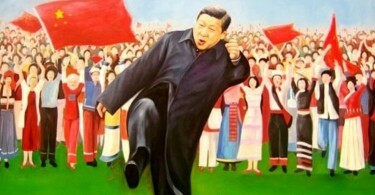 Beijing accuses the Nobel Peace Prize winner of supporting separatism and violence in the region.